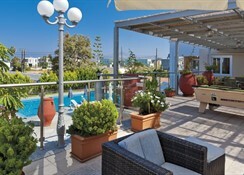 The Koukouras Hotel is a contemporary, well-equipped and comfortable hotel in the pretty village of Chania just 50 metres from a sandy beach. 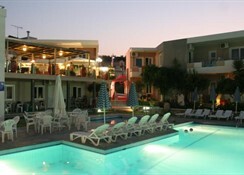 It is a peaceful location yet there are a variety of bars, restaurants, shops and watersports. 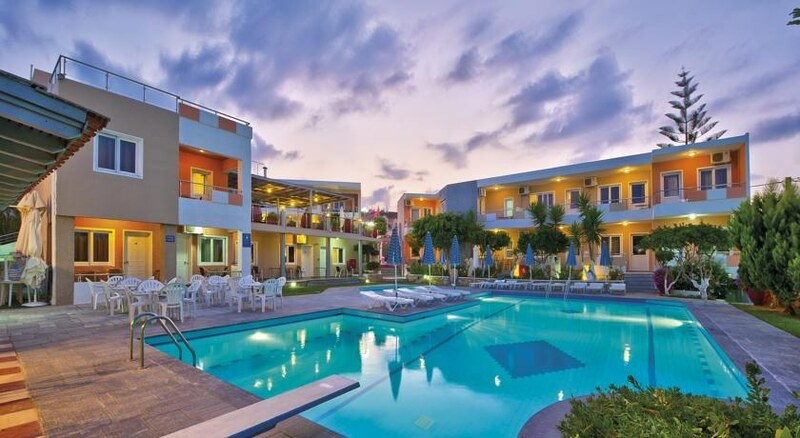 This hotel is suited to anyone wanting flexible and independent accommodation with great facilities and close to the beach and resort centre. This is a family establishment with hospitality at its heart. The building is modern and has a family feel. 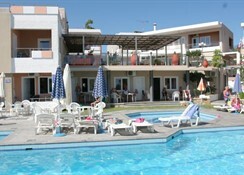 This beach apartment complex comprises a total of 28 accommodation units including 19 apartments and 9 studios. Facilities on offer to guests at this air-conditioned establishment include a lobby area with a 24-hour check-out service, a hotel safe, a currency exchange facility and a games room. There is a TV lounge and younger guests can let off steam in the children's playground. 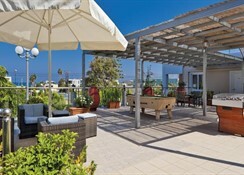 Guests have a cafï¿½ and a bar at their disposal and will appreciate the wireless Internet access provided. 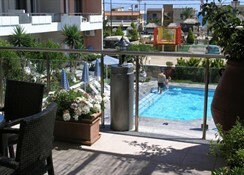 They can take advantage of the room and laundry services and it is also possible to hire bicycles on the premises. Parking is available for those arriving by car.